The original crumpets from Anglo Saxon times were hard pancakes cooked on a griddle. 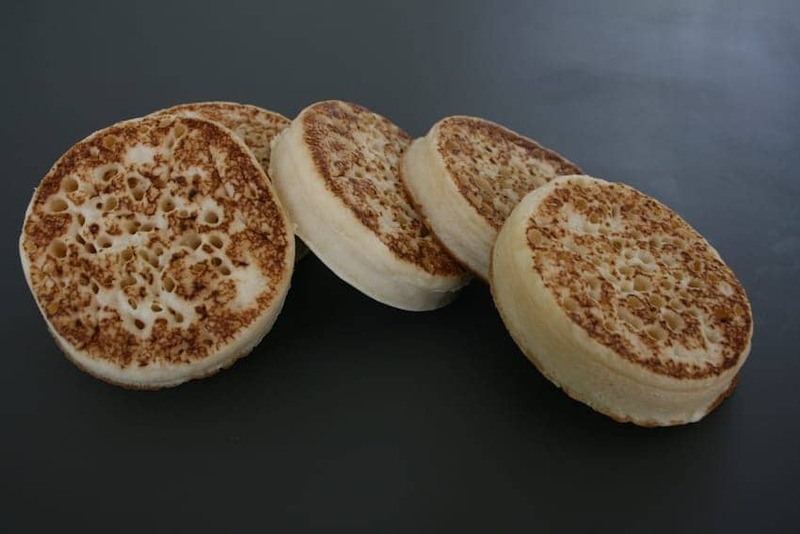 English crumpets are now made from a flour and milk batter with the addition of yeast and are circular as they are cooked on a griddle in a shallow ring. They are flat topped with many small pores and a chewy and spongy texture and best cooked ready to eat warm from the pan but can be stored before being eaten freshly toasted. They are usually spread with butter or an alternative, such as jam or honey. In Victorian times, tea and crumpets became a popular choice throughout all classes of society.